This duplex property features three bedrooms and two bathrooms over two floors as part of an off-plan new build project in Riva di Solto. The property features a first-floor terrace and french windows, allowing for breath-taking views of Lake Iseo – a hidden gem of the Northern Italian lakes. As part of the development, all properties will have access to communal grounds which includes a swimming pool. This property can be extended by connecting it to a sperate apartment property on the ground floor which also offers direct garden access. Parking can also be added with the addition of a private garage, parking space or both. Please get in touch to discuss any property extras. Enquire today to reserve your new lake-side holiday property – availability is extremely limited! Project completion is expected by Spring 2019. Found on the Northern side of Lake Iseo, the medieval town of Riva di Solto offers a quaint and peaceful living experience while also providing access to bars, restaurants, local shops and a small supermarket. Travel to other towns on the lake is simple thanks to the towns ferry service. The town of Lovere, the largest town on the north side of the lake, is only 15 minutes drive away, providing easy access to spectacular vistas a range of amenities. 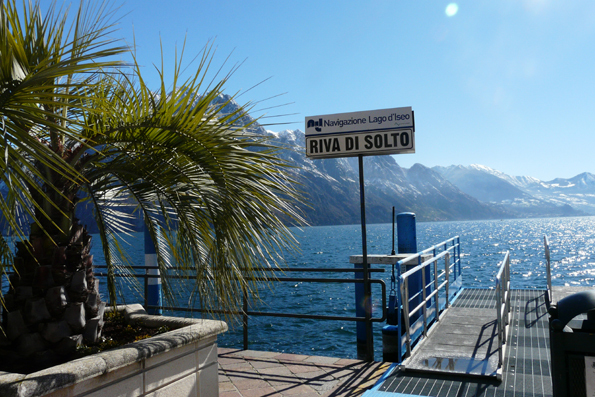 Riva di Solto is also only 30 minutes drive from the international airport in Bergamo. Making access to the area quick and simple.